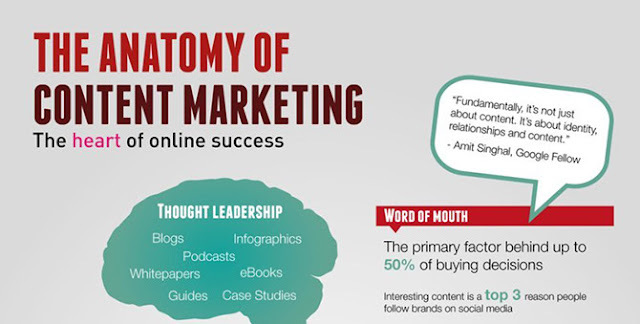 Content marketing is, or should be, the heart of every online marketing campaign. It is a major driver in finding new customers, keep existing customers and helps creating brand loyalty. Science, medicine and engineering all require professionals to nurture that child-like inquisitiveness, but knowing how things work is important for marketers, too. Creating a successful marketing campaign requires you to make sure all of its elements are in working order. Have a look at this infographic and the “Anatomy Of Content Marketing”.